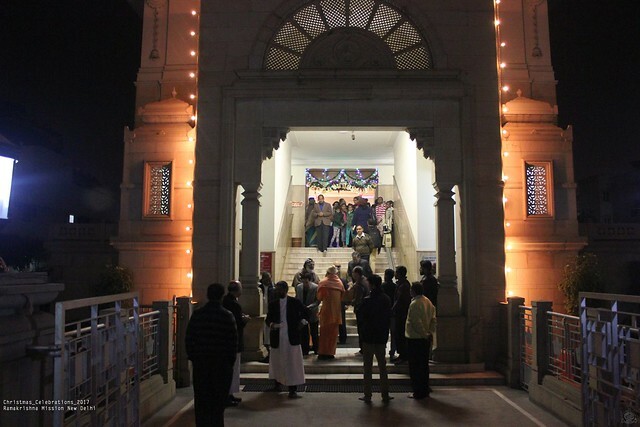 The Ramakrishna Mission, New Delhi, celebrated Christmas Eve in the Temple on Sunday, 24th December 2017 in a solemn and befitting manner. 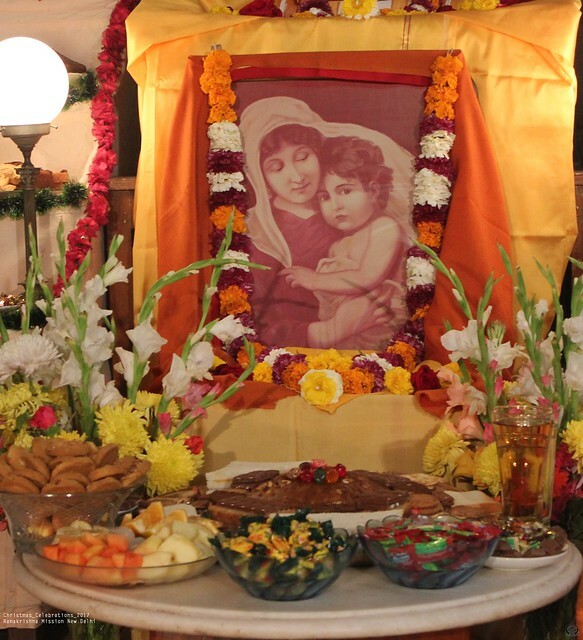 On this day, the Temple was decorated nicely and photos of Baby Jesus Christ and also Lord Jesus. On this happy occasion, as usual, all prominent Christian Fathers viz. Archbishop of Delhi Rev. Fr. Anil Joseph Thomas Coute, Rev. Dr. M.D. 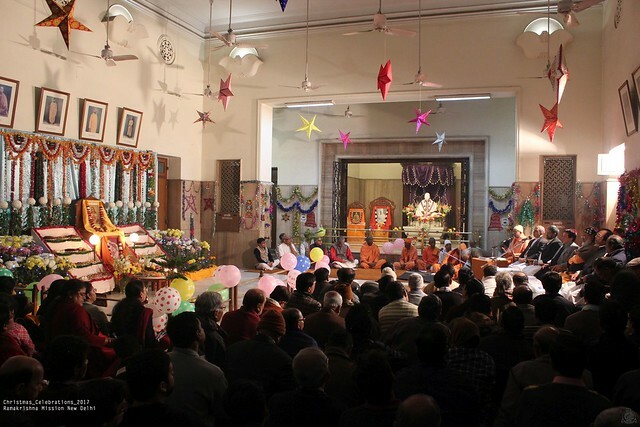 Thomas – Founder Director, Institute of Harmony and Peace Studies, Dwarka, New Delhi, Rabbi Ezekiel Isaac Malekar of Judah Hyam Synagogue, Delhi, Rev. Fr. Dr. Jacob Mar Barnabas, Bishop of Gurgaon, Syro-Malankara Catholic Diocese of St. John Chrysostom, and Rev. Fr. 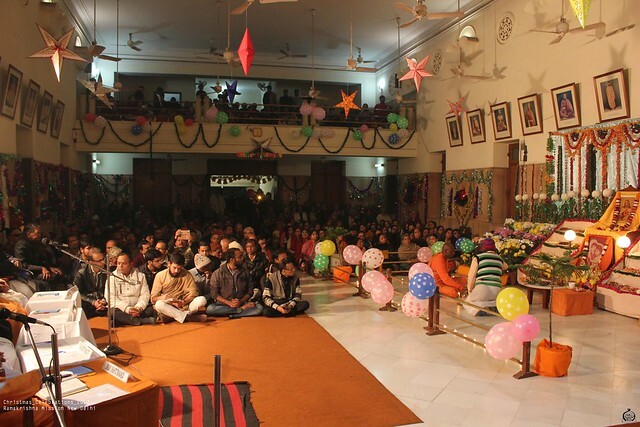 Felix were invited to participate in this function. 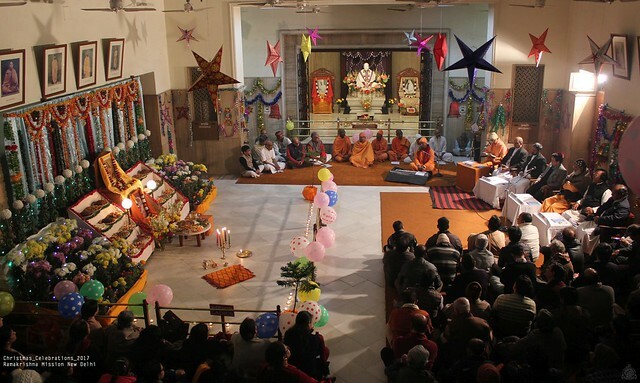 After lighting of candles and making offering to Lord Jesus, carol songs – “Silent Night, Holy Night…”, “Oh come all ye Faithful…”, “Hark the Herald Angel Sing……”, and “Joy to the World…” were sung by Swami Dhruvarupananda (Manabendra Maharaj). 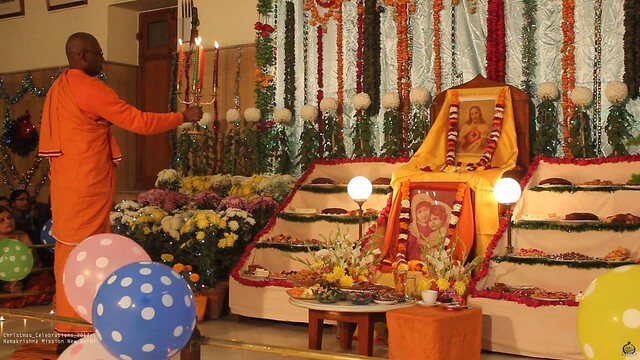 Then Revered Secretary Maharaj extended a warm welcome to all those assembled in the Temple and briefly talked about the significance of celebrating Christmas Eve in all Ramakrishna Missions the world over. 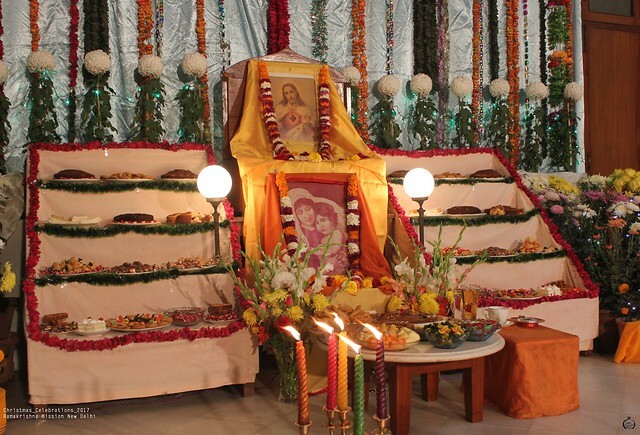 He explained the incident of Sri Ramakrishna seeing the vision of Jesus Christ at the garden house of Jadulal Mallick, and again later on the passageway at Dakshineswar temple. 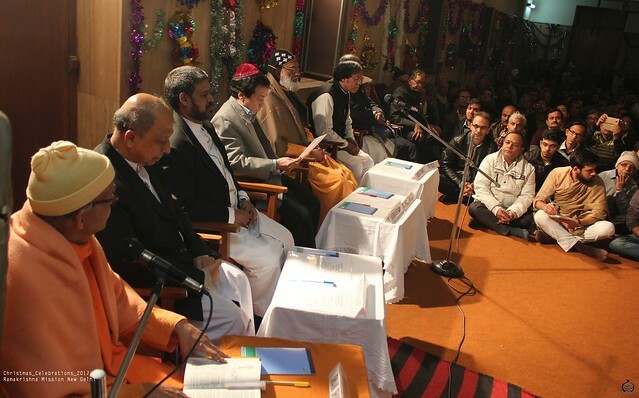 Maharaj also read a few passages from “The New Testament”. 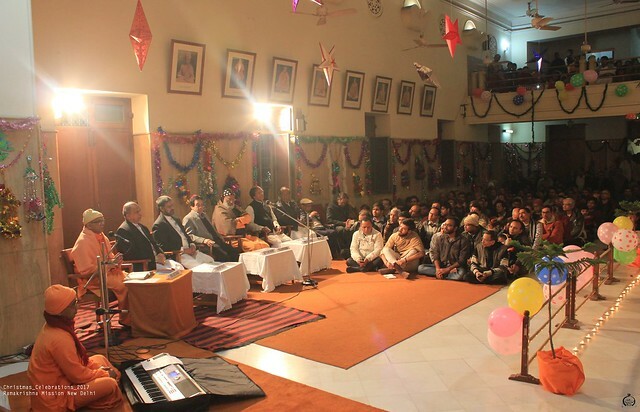 This was followed by each of the speakers addressing the audience and highlighting the message of peace and harmony of Jesus Christ, and also the significance of “Silent Night, Holy Night…”. Fr. Barnabas said that Jesus came to show that God is with us, to teach us to be humble, to provide service to the poor and the needy, and to teach us to lead a religious life. 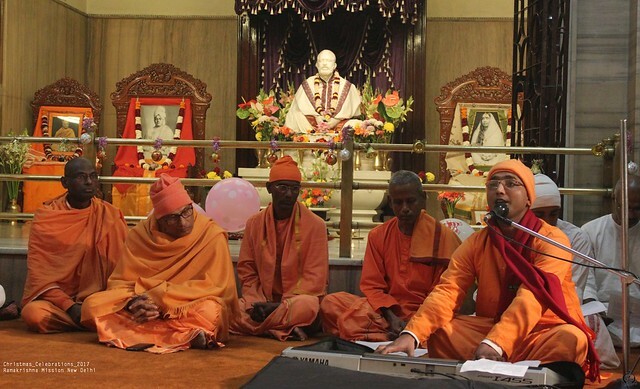 Rabbi Malekar spoke about Swami Vivekananda saying that he was a great admirer of Jesus Christ and who had said, “I would like to wash the feet of Jesus not only with my tears but also with the blood of my heart.” Archbishop Fr. 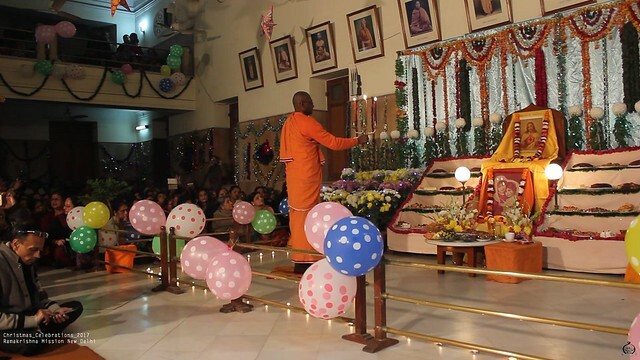 Coute mentioned that we should observe Christmas with a sense of gratitude to God and be kind to the poor by alleviating their miseries in whatever way we can. He also recounted the story of Santa Claus asking the snub nosed reindeer named Rudolf to pull his sleigh as an act of love to God. Rev. 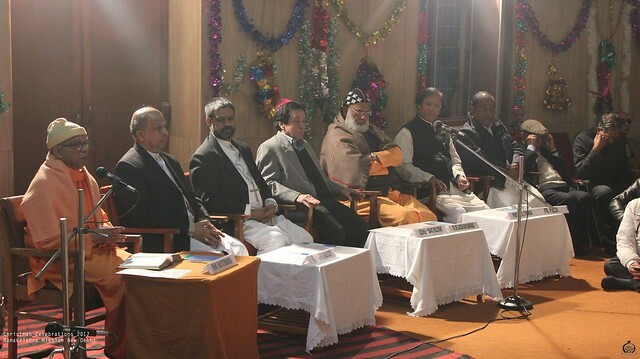 Dr. Thomas delivered the Vote of Thanks appreciating the assembly of such a large number of devotees of different faith celebrating the birth of Jesus. Before their leaving, all Rev. 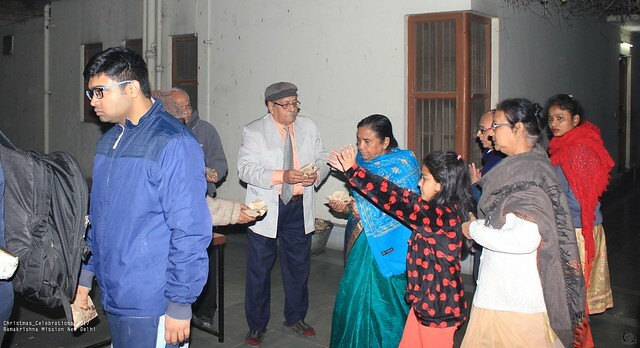 Fathers were given Prasad packets. 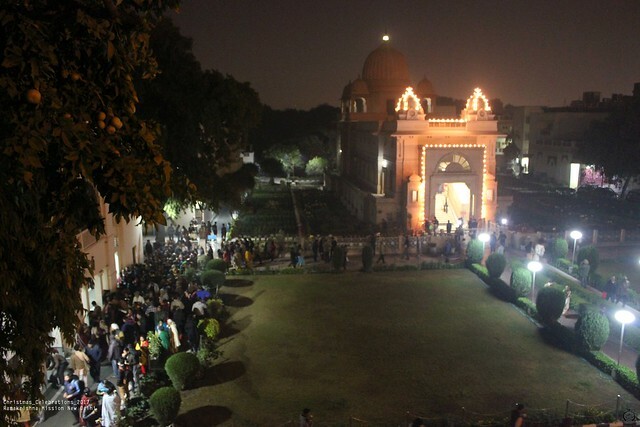 After they left, devotees also received the Prasad packets and coffee.